Going to university is very expensive and therefore it is very important to research the methods of obtaining money from every available source. Student loans are probably the cheapest source of available funds. This article aims to help you to know the main facts and figures about student loans, how much you can expect to receive and when you will have to pay it back. Student loans are sums of money available to students. They are not means-tested, which means that they are available to everyone no matter what their household income. Student loans come from the Government, which is why they are the cheapest available source and are repayable after a term. Costs in general vary depending on where you choose to study so it’s wise to research the place you intend to go and plan how much you will need. If you’re a new student or a continuing student after from after the year 2006, £3,290 is the maximum fee you can be charged per year for tuition in 2010/2011. The amount you are charged depends on the course, the university and whereabouts you are in the UK. There is no set fee for universities to charge for part time courses. Scottish students do not have to pay tuition fees and are therefore ineligible for tuition loans. There are two types of student loan available. 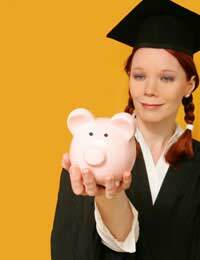 The first is one to cover your tuition fees, which is the actual cost of studying your degree. The second is called a maintenance loan, which covers living costs during your time at university. This will help cover accommodation, travel, food, equipment for studying and any other living costs. This loan however, is means-tested, which means that the amount you receive depends on what your total household income is. These are paid into your bank account, usually in three instalments. You can apply for a tuition fee loan of up to £3,225 per year (in the present year). This is the maximum that the loan can be and is paid directly to your university. The maximum student loan available for maintenance is £4,950 unless you’re a student in London where then you’d be eligible for a bit more. As previously mentioned, this loan is means-tested so you may not get this much. Repayments for loans are made after you have finished your degree course and are earning a salary of £15,000 per year or more. The rate of at which you have to pay back your loan is at 9% for any income earned over the £15,000. So for example, if you earn £25,000 per year, you will pay 9% of £10,000. This will be taken directly out of your wage and will be shown on your payslip. There is the chance for some students to take a repayment holiday of up to five years before repaying the sum. In certain circumstances, students become eligible for grant awards. This is usually aimed at those from extremely low-income families and depends on the type of subject you plan to study. Grants are not like loans and do not need to be repaid. It is useful to research as to whether you are eligible for a grant and how to apply. i would like to know that if when i turn 16 i will be able to apply for my own benefits. because my parents do not give me any kind of money and i need to buy things for school and personal things. and all the money they get from the benefits they spend it all on themselves. I am a full time working mum, just been told my bereavement pension stop's this month as my daughter turn's 20, she is off to university in Sep but as I am on a low income she is living at home, are there any other benefits that I can claim. My late husband worked for 40 year and paid national insurance contributions - I.e. His state pension. You can't continue to to claim for your daughter once she's gone to university. if she continues to live at home she should contribute to her accommodation from her maintenance loan. Contact the DWP about your husband's pension. The Turn 2 Us website should tell you whether you are entitled to any further benefits (like working tax credit) on your income. @loopyloo. No, if you are still at school/college (up to a level standard) and live with your parents you cannot usually claim any support to benefits.